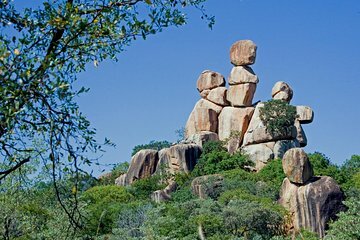 Explore the beautiful Matopos National Park in Zimbabwe during this half-day tour from Bulawayo. Discover the ancient history that stems from the African continent and this park as you see ancient rock drawings in the caves left by ancient bushman. Visit the tomb of Cecil John Rhodes, the founder of Rhodesia, and enjoy a game drive through the park in search of white rhinos, leopard and Verreaux’s eagle.